B.L.I.S.S. – Believe Life Is Something Special! I’m Lynette, a Positivoligist™ and ordained interfaith, interspiritual minister. I work with individuals and groups of people to help them create the most positive, productive and energized life possible in order to live a fulfilled life. The modalities I offer provide the tools you need to bring clarity of thought into your life, followed by viable action. You will have the ability to look at your circumstances from the viewpoint of “new beginnings”, whether you are approaching a current life situation with a new point of view or walking a new path altogether. Living a life of bliss is achievable. The 10 Be’s of Positivity is a gift of deep wisdom in 10 small, easy-to-digest capsules of simple positive change. Absent are both the ego-heavy presentation of a lot of self-help books and the “you-should” prescriptions of many more. 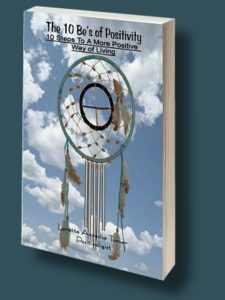 Lynette suggests readers use her book like a menu, selecting what they need at the moment to develop new thought and behavior patterns as they digest these 10 positive steps toward creating a happier life. 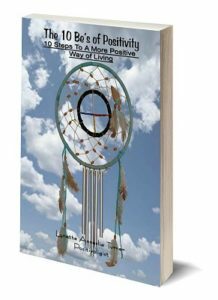 Order your copy of The 10 Be’s of Positivity by clicking here! 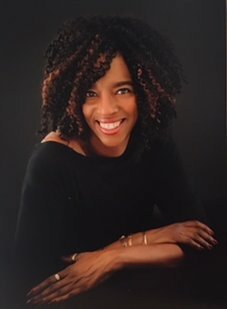 author of "365 Prescriptions for the Soul and Love, Magic and Mud Pies"
Join the Positive Bliss community and receive The 5 Simple Steps to B.L.I.S.S. immediately! 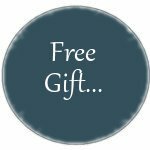 You will also receive occasional promotional emails, including a Positivity Message on Tuesdays. We respect your email privacy and will never share your information with anyone - ever. You may opt-out any time by following the "unsubscribe" prompts at the bottom of one of your emails or by contacting Lynette. 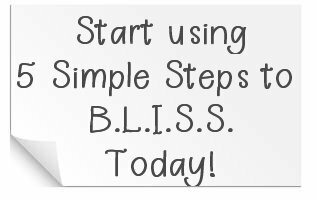 When you join our community you will receive "The 5 Simple Steps to B.L.I.S.S." immediately, a Positivity Message on Tuesdays, plus occasional promotional emails. I want the 5 Simple Steps NOW! Angels guard our email lists. We will NEVER - EVER share your information with anyone. You may opt-out any time by following the "unsubscribe" prompts at the bottom of one of your emails or by contacting Lynette.